When you need a strong, dependable truck body, a Reading Truck Body is the obvious choice. In 1955, after witnessing a surge in customer needs for the commercial trucking market, Reading took the steps needed to evolve from a small mom and pop auto shop to the world-renowned brand it is today. Innovation, solid engineering, and a commitment to outstanding customer service is at the heart of every Reading truck body. Whether you need a truck body to support your company’s motives in the construction, landscaping, HVAC, oil and gas markets, utility, and even telecommunications field, there’s a Reading truck for you and your business. Just shy of two months ago our body company, Allegheny Truck Body, was selected by Reading Truck Body to sell the brand’s famous commercial truck body products and accessories to our customers. Our current line-up of body companies provides an outstanding variety to our customers, and the addition of Reading Truck Body only furthers our commitment to providing high-quality, reliable truck bodies for those in Pittsburgh, PA and surrounding areas. As a trusted industry provider for more than 40 years, the new partnership with Reading Truck Body means that Allegheny Ford Isuzu Truck Sales is now able to offer our customers a one-stop destination that encompasses the entire commercial vehicle purchase process. Much like Allegheny Ford Isuzu Truck Sales, the Reading brand has maintained a strong presence in the commercial trucking industry. For more than 60 years, reading has been building high-quality commercial truck bodies that are dependable and adaptable. Reading continuously refines every truck body so that the needs of fleet owners, operators, and industry professionals’ needs are met across the country. As the commercial truck industry continues to evolve, Reading incorporates new technology and design elements that strategically accommodate the demands of labor-intensive industries. Today, reading is America’s choice for environmentally-friendly, affordable and reliable service bodies, enclosed bodies, contractor bodies, platform and landscape bodies, custom bodies, and everything else in between. Reading’s strong, steel truck bodies work for any industry. At Allegheny Ford Isuzu Truck Sales, we have access to Reading’s full lineup of commercial truck bodies. If you need a custom service body, we can work with Reading’s engineering team to provide you with a truck that meets your needs. All of the Reading products have been designed and adapted to stand the test of time. At Allegheny Ford Isuzu Truck Sales, we couldn’t be more excited to offer our loyal customers all of Reading’s finest products as we embark on a partnership with this trusted American brand. Our company upholds the highest standards and we are committed to providing you with only the finest automotive products for you and your business. 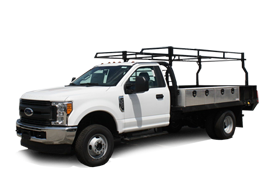 As a certified distributor, you can now find an amazing selection of new chassis to build the truck you need or select one of the work ready trucks from the ones upfitted with Reading bodies that we have in stock. As always, Allegheny is happy to create a custom truck build on-site, just for you. 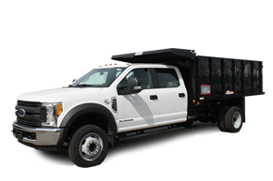 Our custom upfits are done all under one roof, and you’ll have the exact truck you need to get the job done. 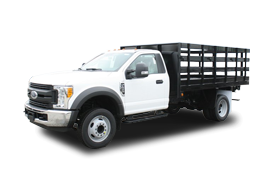 Are you looking for a strong and sturdy, commercial truck body? At Allegheny Ford Isuzu Truck Sales, we now carry the Reading brand. Shop our new Reading inventory today. Looking for a custom build? Call our sales department directly at (412) 481-9600 or contact us online for a quote.